With a stay at this apartment in Gateshead, you'll be a 3-minute walk from Gateshead Millennium Bridge and 8 minutes by foot from Quayside. This apartment is 0.3 mi (0.5 km) from Sage Gateshead and 2.9 mi (4.7 km) from St. James' Park. 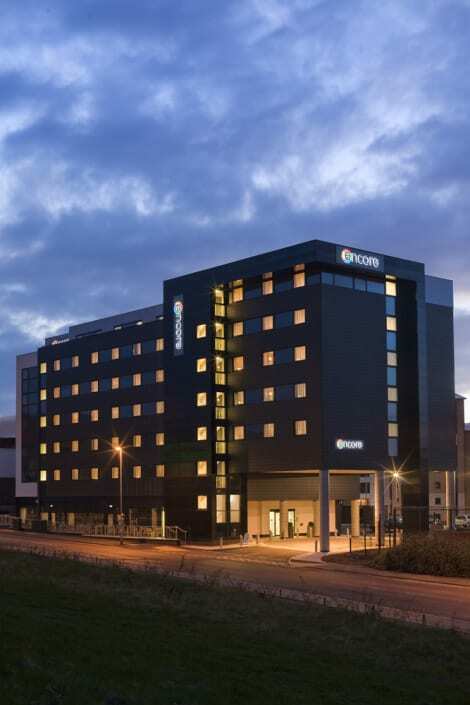 300 metres from Gateshead Millennium Bridge and the Baltic Art Centre, this modern hotel has a stylish restaurant, bar, gym, free Wi-Fi throughout and 24-hour business centre. Contemporary, wooden-floored rooms include Freeview flat-screen TV, tea/coffee making facilities, hair dryer, and an en suite bathroom with power shower. Within a 10-minute walk Quayside’s bars and restaurants are located, whilst Gateshead Metro Station and Newcastle city centre are accessible within a 15-20 minute walk. With a stay at Jurys Inn Newcastle Quayside, you'll be centrally located in Gateshead, just a 4-minute walk from Gateshead Millennium Bridge and 8 minutes by foot from Quayside. 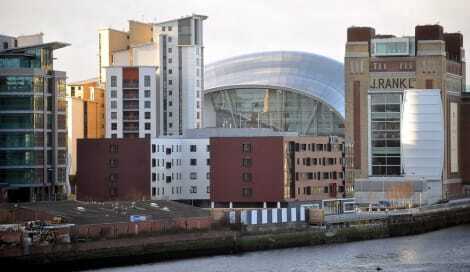 This eco-friendly hotel is 0.4 mi (0.7 km) from Sage Gateshead and 3 mi (4.9 km) from St. James' Park. 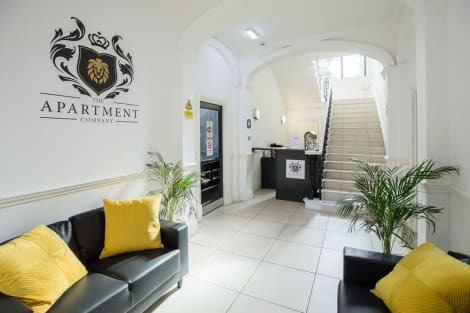 With a stay at Hype Apartments - Fairway Court in Gateshead, you'll be minutes from Tyne Bridge and Bessie Surtees House. This property is within close proximity of Sage Gateshead and Castle Keep.Business, Other Amenities Free self parking is available onsite. With a stay at The Apartment Company in Gateshead, you'll be within a 10-minute drive of Gateshead Millennium Bridge and Sage Gateshead. This apartment is 3.3 mi (5.3 km) from Quayside and 4.7 mi (7.5 km) from St. James' Park. Take in the views from a terrace and a garden and make use of amenities such as complimentary wireless Internet access. Additional features at this hotel include wedding services, tour/ticket assistance, and a banquet hall.